Welcome to Bloom Magic, a company that is firmly focused on delivering luxury flowers to each and every consumer with the very best customer service. Starting with the sustainable sourcing and eco-friendly packaging all the way through crafting top-class bouquets designed by Ireland's top floral designers, paired up with exceptional customer experience, we at Bloom Magic have set out to reimagine the flower delivery experience. Not satisfied with current options, we want to bridge a gap between high-end luxury flowers and flower delivery services. As you browse our website, you will see designs not found anywhere else online at affordable prices. Celebrate any milestone and occasion without breaking the bank. Inspired by trends in style and fashion, our offerings are mindfully crafted by skilled artisans, renowned designers, and household names in the flower industry. We’re on a constant mission to create new bespoke designs so our customers have a wide selection to choose from to wow their loved ones. We believe that the story behind the flowers you send is every bit as important as the story you create with them. That is why we have combined our innovative luxurious designs with eco-friendly practices. We integrate socially-conscious and mindful practices at every stage; starting with the flower farmers who grow our blooms in a sustainable way. Whenever possible, we will use locally-sourced, seasonal blooms in our designs to further reduce our carbon footprint. Our mindful practices are also reflected in our display of your bouquet. We have minimised our packaging and use 90% recyclable/reusable materials. 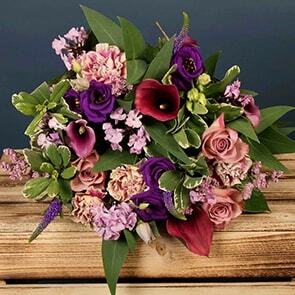 Bloom Magic's services were recently reviewed by website Flower Delivery Reviews for our Dublin flower delivery. 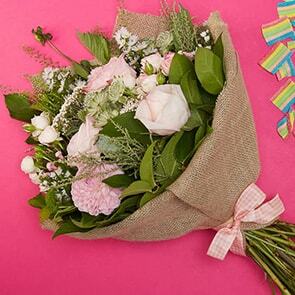 Click to find out what Flower Delivery Reviews have to say about Bloom Magic!